This is an original and unique mirrored coffee table. This coffee table has a simple design but the uniqueness of the angled draw on the coffee table makes it. It is a simple feature but the angled draw brings out the modern and contemporary look. This coffee table is finished with diamond like crystals. 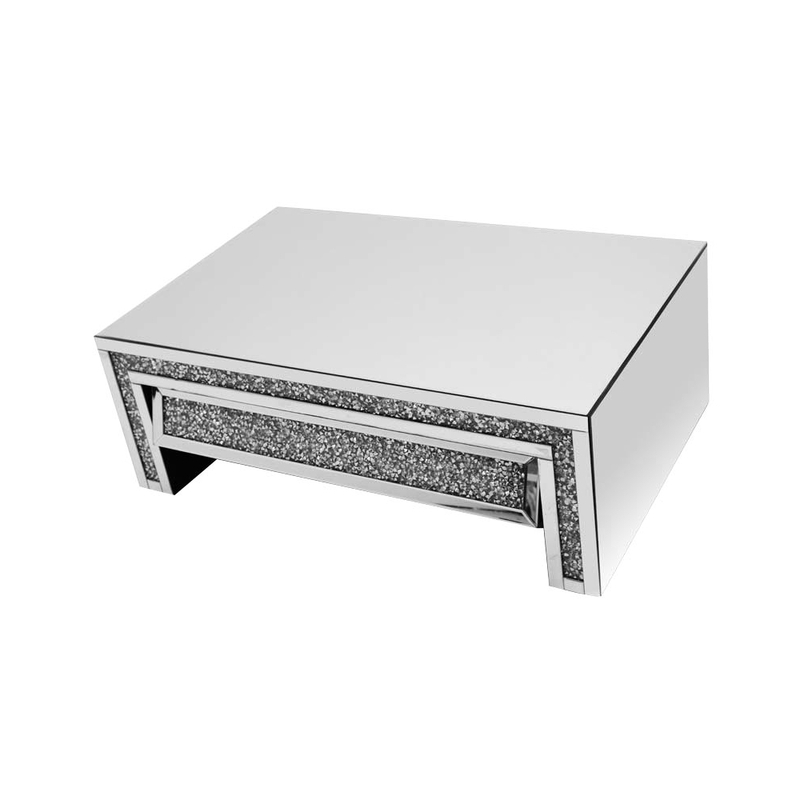 This coffee table is part of the Gatsby collection.